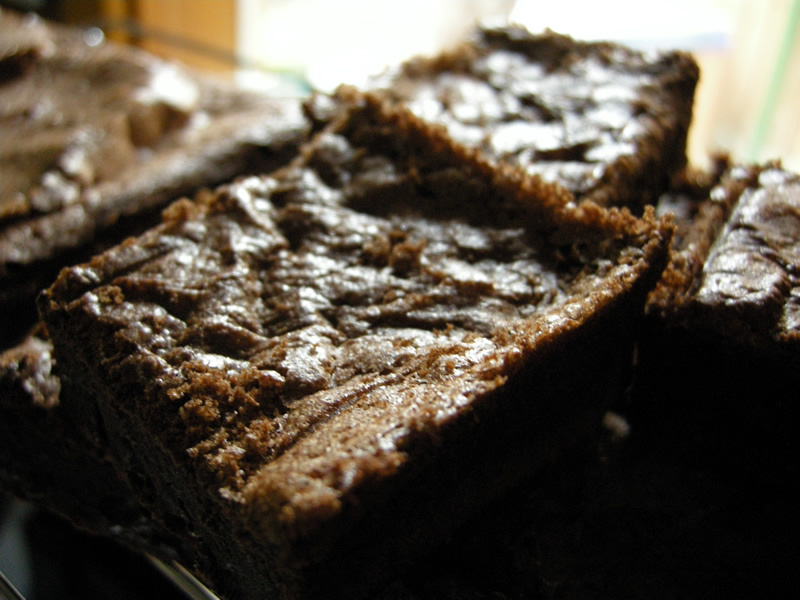 This is a great simple and easy brownie recipe which I came across. They turn out chewy, very chocolatey and delicious. My wheat eating husband said it was the best brownie he'd ever eaten! I like the fact it's so simple and only uses corn starch. Preheat oven to 350 F. and lightly grease an 8x8 inch baking pan . In saucepan, melt butter and add cocoa powder. Whisk. Mix in the brown sugar , eggs and vanilla to butter/cocoa mixture. Add the corn starch and salt and mix well. Stir in chocolate chips or dark chocolate pieces. Pour into prepared pan and bake for 30-35 minutes. Until toothpick comes out clean. Allow brownies ample time to cool and set before serving. They can be stored in the freezer and thawed before serving.